Honored to be a guest poster on Author Culture blog this on Why you should hire a proofreader. From the pen of my friend Linda Yezak. It seems to take an eternity to go from dream to book. I have ideas that float around in my head and never seem to navigate as far as the page, even to sketch the primary components. Others sit in loose outline form in a file on my computer, and still others, few though they are, have made it to Amazon. For me, the hard part truly begins once the book is out there. 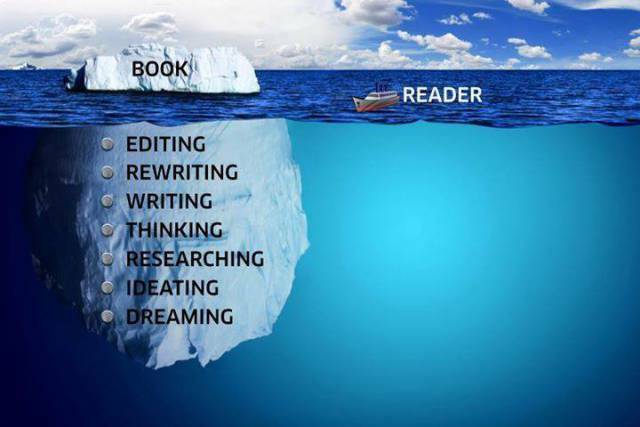 You look at this picture, this meme, this almost-accurate graphic, and you see “Book” sitting on an iceberg, and although the reader boat is in the vicinity, it’s heading the wrong way. Smart sailing. No boat wants to collide with an iceberg. Somehow, you have to change the image to that of a welcoming tropical island. After all, islands go just as deep. Consider how your approach to crafting point of view will influence your story and your readers’ impression of your character. Some excellent points on how to make your character’s POV work in your story and some things to avoid that can work against you. Never take the safety of your computer for granted. Back it up, back it up, back it ALL up. There are many free services to back up your data securely in the cloud. Lots of people use Dropbox or OneDrive. I use Google Drive. There are also free backup services like MozyHome (I use and recommend them). Be safe. Guess who fell under attack this week? I tell ya–there’s nothing worse. I was working and had to do a quick look-up on a website I’d just used earlier, but I put in .org instead of .com, and wham! I got notification that I’d been hit by a horse. It froze Google Chrome entirely. I couldn’t switch tabs, couldn’t shut down the alert, couldn’t close out the window. I opened another window, and it worked for a few minutes before the horse climbed into that stall too. Then I shut down the entire system. Turned off the computer and tried to go again. My experience proves the importance of backing up your files on something other than your computer. If I’d limited myself to HP’s backup system, I would’ve lost everything. 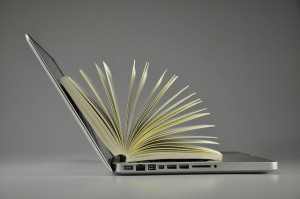 Today’s Self-Publishing post is part 2 of 3 in the “How to Choose What’s Right” posts. Today I will concentrate on editing and proofreading, as well as a few marketing tips I have learned. As always, feel free to ask questions and I will do my best to answer them. Editing and Proofreading-What’s the difference? When I first got into publishing I thought that editing and proofreading were pretty much the same. Then I heard other terms being bandied about: Line editing, copy editing, content editing, and proofreading. So, what is the difference and why are some more expensive than others?